Rob Kelly, regional sales director at hygiene product company Diversey, said: “Consider the calving pen and the area the calf is housed in, particularly within the first 24 hours of its life. “Many farmers disinfect to remove the risk of cocci and cryptosporida, however this can be a false policy without an effective cleaning regime undertaken first. “A caustic foam or gel product is very effective, as reducing the micro-organism challenge and is highly recommended. Mr Kelly added that failing to clean and disinfect equipment used to deliver milk, feed or water would encourage the proliferation of microorganisms which could be readily ingested. He also said it was important those working around livestock were not complacent with personal hygiene. “Coaxing calves to suckle the cow or to the bucket is common practice, yet I would question how many people wash their hands before this exercise or between calves. Yet it could lead to the passing of harmful microorganisms to or between calves. 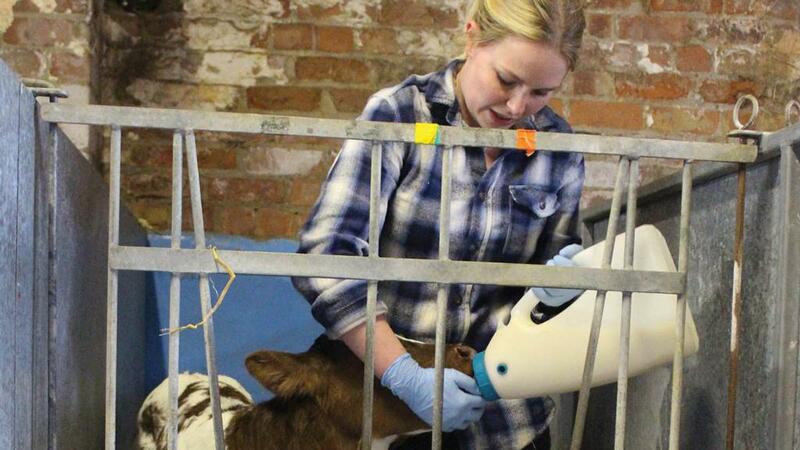 “A few seconds of effort to disinfect hands, could save hours of care for a sick calf, so invest time to prevent infection.